Decorative evergreen tree approx. 3-8m tall with dense foliage and multiple trunks. Small grape-like fruit borne on trunks and branches; pulp colourless and sweet. 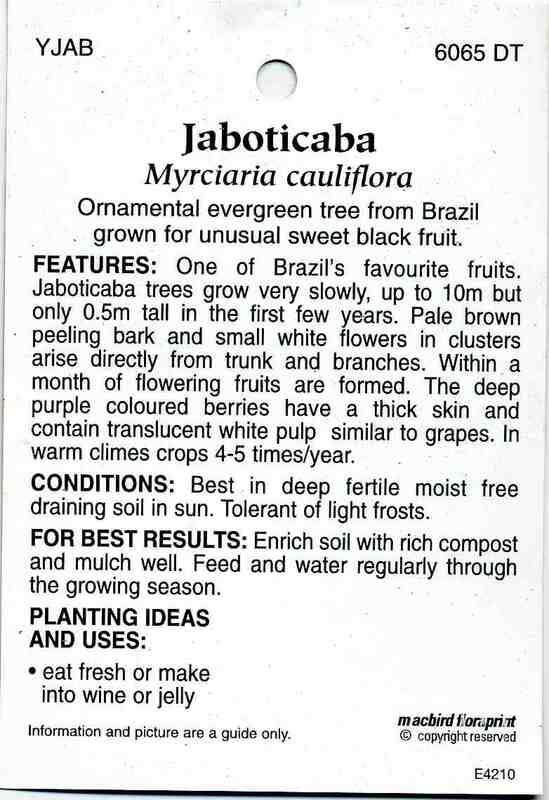 Very hardy and can fruit six times per year. Ornamental evergreen tree from Brazil grown for unusual sweet black fruit. 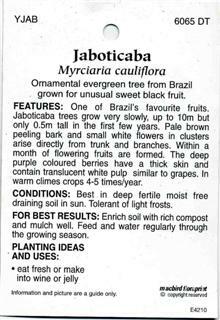 FEATURES: One of Brazil's favourite fruits. 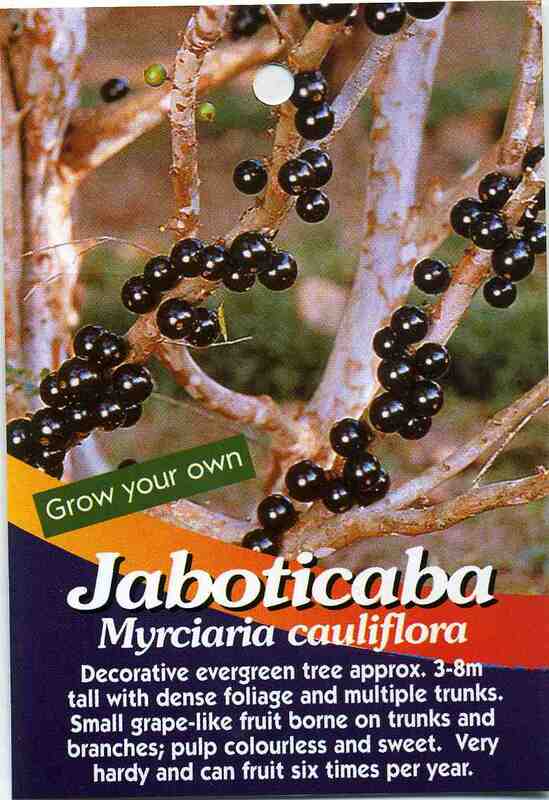 Jaboticaba trees grow very slowly, up to 10m but only O.5m tall in the first few years. Pale brown peeling bark and small white flowers in clusters arise directly from trunk and branches. Within. a month of flowering fruits are formed. The deep purple coloured berries have a thick skin and contain translucent white pulp similar to grapes. In warm climes crops 4-5 times/year. CONDITIONS: Best in deep fertile moist free draining soil in sun. Tolerant of light frosts. FOR BEST RESULTS: Enrich soil with rich compost and mulch well. Feed and water regularly through the growing season .